With the New Year settling in, we are still mindful in 2018 of eating healthy and exploring global foods. As consumers, we are constantly selecting better ingredients to improve our health and wellness and to make positive changes, as a lifestyle and not a resolution. So, we have highlighted some of the top trending foods and spices for 2018 that you can find in your local grocery stores and supermarkets that you can incorporate into your daily diet for the coming year. 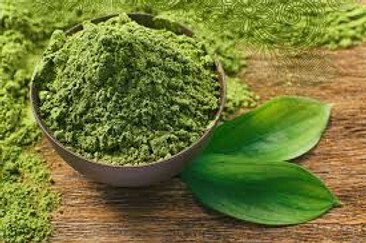 If you never heard of matcha, the know that it is a finely ground, velvety powder made from nutrient rich green tea leaves. It has a variety of antioxidants and may increase metabolism and physical endurance. How to use it: Add it to baked goods, like cupcakes or cookies or just stir a teaspoonful into a fruit smoothie or a stir into a glass of water. You can also combine with a good quality sea salt and sprinkle over popcorn. Domesticated from the continent of Africa over 8,000 years ago, sorghum is ancient whole grain that resembles Israeli couscous. Sorghum has a nutty flavor and can supply fiber, potassium, iron and protein to your diet. And another bonus is that sorghum is gluten free. 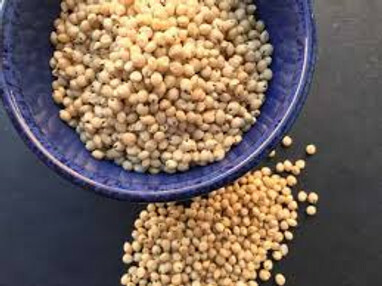 How to use it: Sorghum grains can be prepared like brown rice, quinoa or other whole grains as a side dish. You can also use it as the base for sweet or savory grain bowls or you can try popping it just like whole kernel corn to make popcorn. Hemp seeds can supply a high quality plant-based protein to you diet,with a healthy dose of fiber, iron, magnesium and omega 3 fatty acids. For some people they have a taste that is similar to a cross between a sunflower seed and a pine nut. 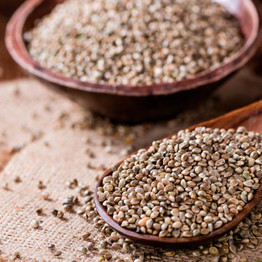 How to use it: Sprinkle hemp seeds on salads or avocado toast for that extra crunch. You can also add them to smoothies, homemade granola bars, or even to veggie burgers. Hemp seeds is also an excellent substitute for pine nuts used in making a vegan pesto. For the record, bone broth is nothing new, but being rediscovered by chefs serving it in trendy restaurants. In Chinese medicine, whose origins date back over 2,500 years, bone broth is used to support digestive health, as a blood builder, and to strengthen the kidneys. Cultures far and wide have nourished their families with bone broths and handmade stocks throughout history .Broth made from beef bones is rich in minerals that support the immune system and contains healing compounds like collagen, glutamine, glycine and proline. 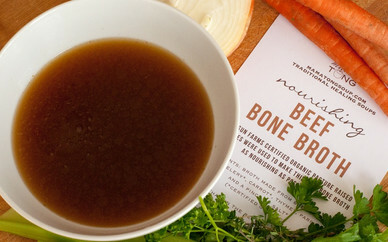 The collagen in bone broth heals your gut lining and reduces intestinal inflammation. How to use it: When herbs, spices and vegetables are added, a rich flavor develops and it can be simply warmed and sipped or used in other recipes as a base for soups or gravy and sauces. An extremely versatile vegetable that has found it’s way in various healthy dishes, rather than being relegated to a boring accompaniment to the family meal. Like it’s relative, green broccoli, it supplies an impressive amounts of vitamins and minerals such as B6, C, K, folate and potassium as well as fiber and powerful antioxidants and phytochemicals as it comes in a variety of colors such are purple and yellow gold. How to use it: Like magic, you can transform cauliflower into rice with a box grater or a food processor. You can even make cauliflower pizza crust or use it in a fried rice recipe. Cauliflower can also be used a substitute for potatoes, where the cauliflower is cooked and mashed. If you have large heads of cauliflower, always think about slicing them 3/4 inch thick and grill them like beef steaks for a meatless Monday meal. 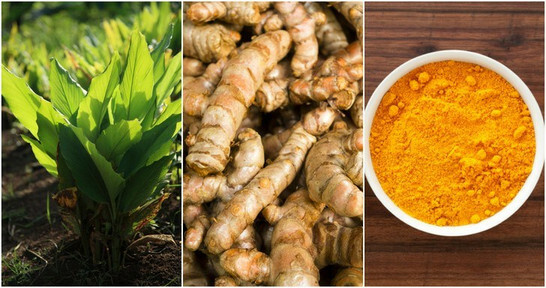 Turmeric is a plant that is native to Southeast Asia and in powdered form, it has been used for 4,000 years to treat a variety of conditions. Studies show that turmeric may help fight infections and some cancers, reduce inflammation, and treat digestive problems. As a spice, it adds an earthy flavor and brightness to almost any dish. How to use it: Tumeric is best pared with spices and herbs that have complementary flavor profiles, such as cinnamon, ground black pepper and ginger. You can also use it as a natural coloring agent to enhance orange vegetables like pumpkin, squash, sweet potatoes and carrots, just to name a few. 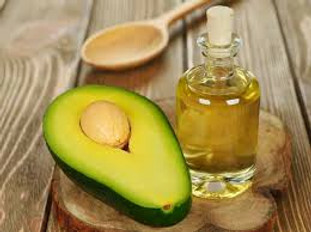 Avocado oil is popping up as an ingredient in many healthy foods. Given it’s versatility, most people love it for its mild flavor in cooking and lack of scent in organic beauty products. Because it is light and rich in flavor, low in saturated fat and high in monounsaturated fat, it has become a healthy alternative . Avocado oil is nutrient dense and is rich in vitamins A, K and D as well as potassium and antioxidants which are crucial in maintaining a healthy heart. How to use it: In baking, you can substitute the butter for the avocado oil. You can also drizzle it over popcorn. Because it is so closely resembling olive oil, as a cooking oil, you can use it to saute or fry vegetables. Photo Credit: Super Health Kids, 2014. Cauliflower is kind of a rockstar when it comes to eating well. Not only is it a delicious side veggie to include with dinners or a great veggie to serve raw on a veggie platter; it can also turn many of your favorite guilty pleasure foods into healthier, but still tasty, options. 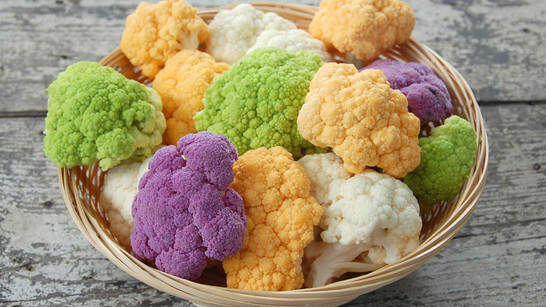 This idea from Super Healthy Kids is another great way for cauliflower to shine as a snack or meal. Check it out. Rinse a head of cauliflower thoroughly. Then, roughly chop. Put chopped cauliflower into the food processor until it has broken down into very fine bits. Heat an inch of water in a pot until it boils. Put the cauliflower mixture into the water and steam for 4-5 minutes. Cover with a lid while it cooks, but be sure to keep an eye on it so the water doesn’t boil over. Once steamed, put cauliflower through a fine mesh strainer to drain the water. Use a spoon to squeeze as much water out as you can. Then, use a clean dry towel to squeeze out the rest of the extra water. Be careful though – water will be hot! Combine cauliflower with the rest of your ingredients (using half the mozzarella and none of the Parmesan). Mix until well combined. Place a piece of parchment paper on a baking sheet and spray lightly with nonstick cooking spray. Spoon cauliflower mixture onto parchment paper and form a kind of “loaf” with your hands – recipe should form a rectangle that’s about 8 1/2″ x 11″. Bake for 30 minutes, or until golden brown and set. Remove from oven and sprinkle with remaining mozzarella and Parmesan cheeses. Bake for another 10 or so minutes, until cheese is bubbly. Remove from oven, slice and serve with your favorite dipping sauce. I discovered this gorgeous and delicious recipe on Instagram from food blogger, Kruti Shah, who is a health & wellness food stylist, creating real food recipes using all fresh and local produce from a company Southern California called Milk and Eggs. Unfortunately the company only delivers to customers in the Orange County, California Area, but just think what you might be able to find in your local markets. Eat fresh and buy local! Kruti uses organic Butter lettuce topped with ghee-sautéed mushrooms, florets of purple cauliflower, sliced avocado, cilantro and smoked jalapeño sauerkraut. The smoked jalapeño kraut is available on-line at Farmhouse Culture. This organic kraut serves as a spicy way to keep your gut healthy and awaken the palate. Farmhouse Cultures, Smoked Jalapeno Kraut blends oak-smoked jalapenos with cabbage, carrots, onions, and radish for a taste that’s packed with earthy bold heat. Also, check out their site for other products that are organic and gluten free. You will not be disappointed.